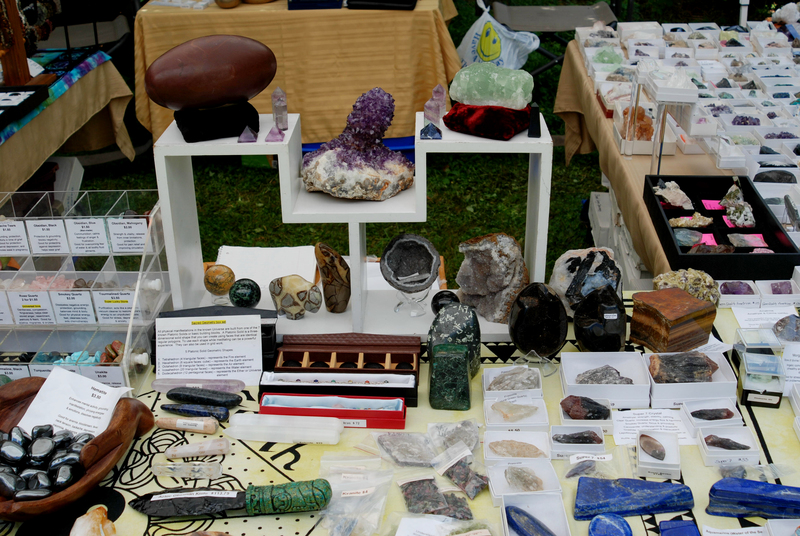 We have been collecting uniquely shaped or colored rocks for many years on our numerous nature hikes. We didn’t know why we were fascinated with a certain rock, but in our pocket it goes! Years later, a friend told us that rocks and minerals “talk” to her. That’s when we realized that must also be happening to us. It felt so right. 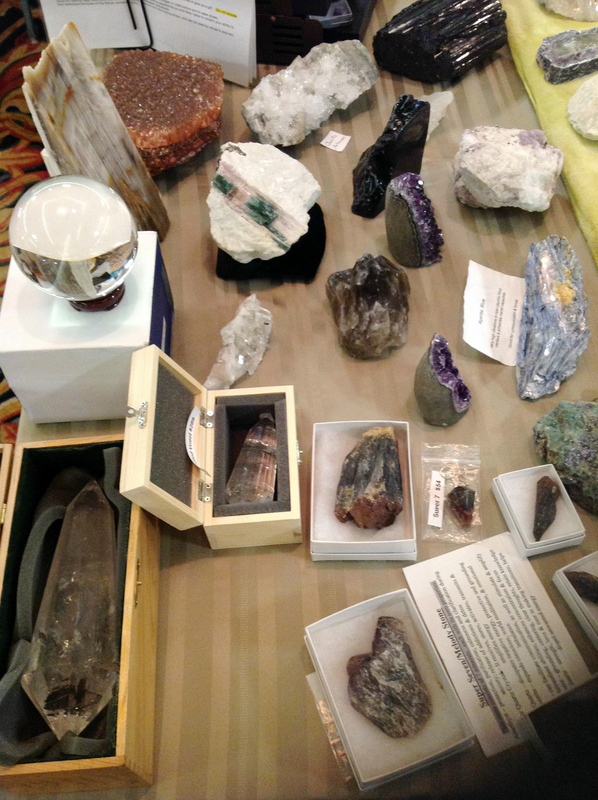 We then started a mineral collection by purchasing small specimens at mineral shows. As we bought a nicer piece, we would pass the other to someone else to get them started collecting. We joined a rock & mineral club so that we could learn more about minerals and loved going out on “digs” to different quarries. There is nothing like digging up a rock that just saw its first light, after being in the ground who knows how many million years. What a thrill! 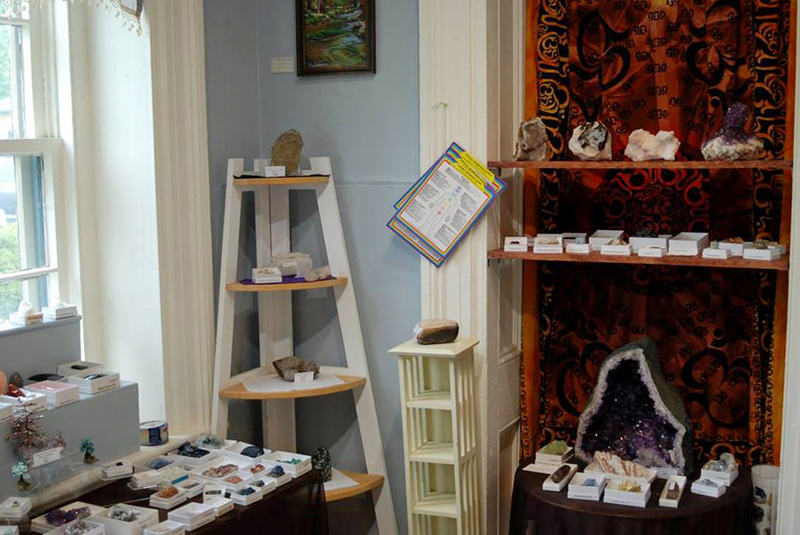 Every time we look at a mineral specimen we are in awe at how it was created. Mother Earth is truly magnificent. 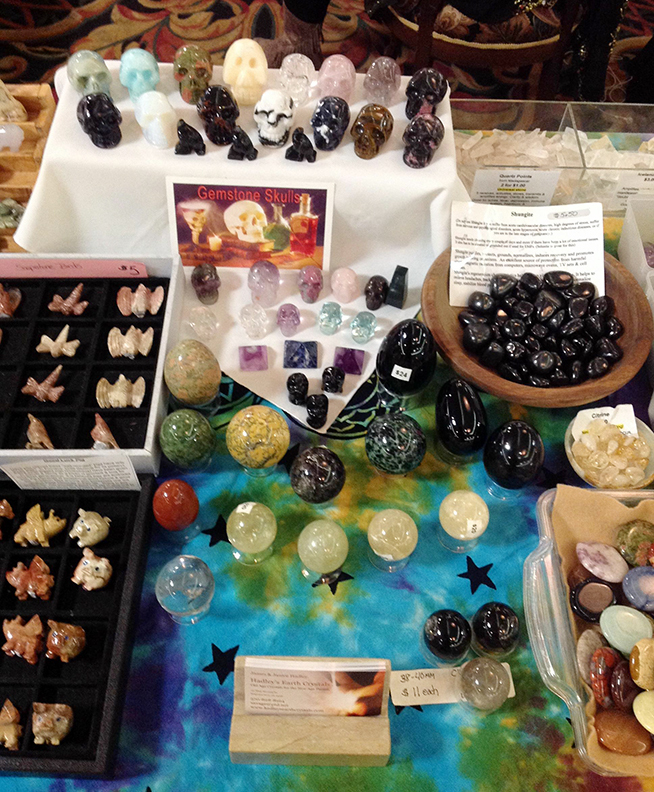 Besides collecting for the beauty of nature, we feel we are connected spiritually with the crystals and minerals. Now, we know this isn’t the same for everyone, but we have always respected everyone else’s beliefs. 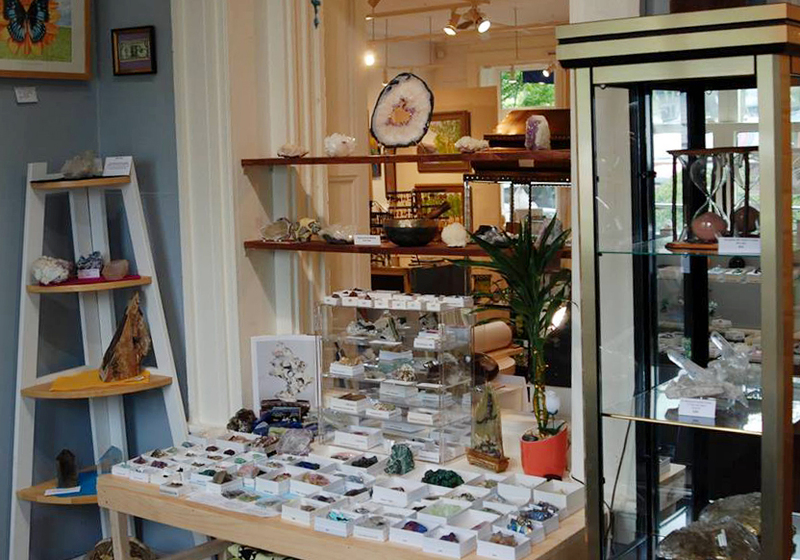 The two favorite things about the business is finding new pieces to offer to our customers and sharing stories with the new friends that we have made. We select pieces like we are adding them to our own collection. 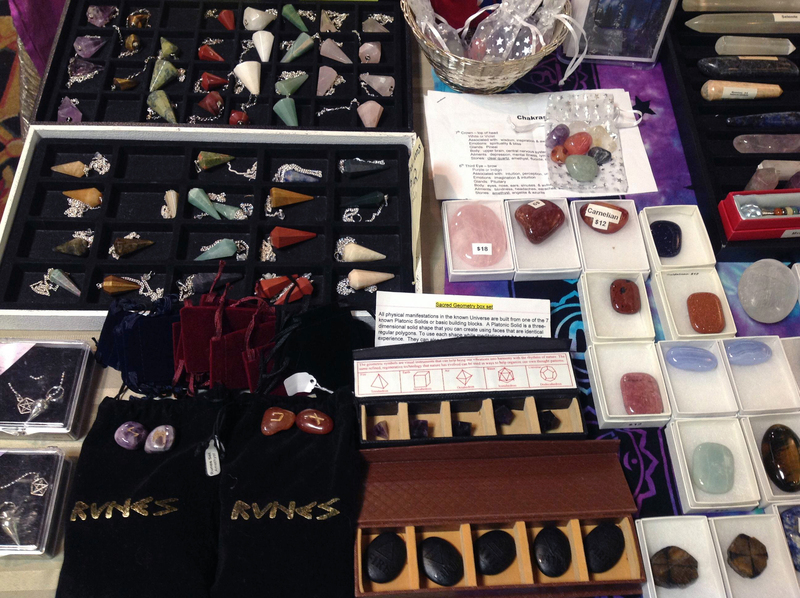 We have received many compliments about our choice in picking out crystals. 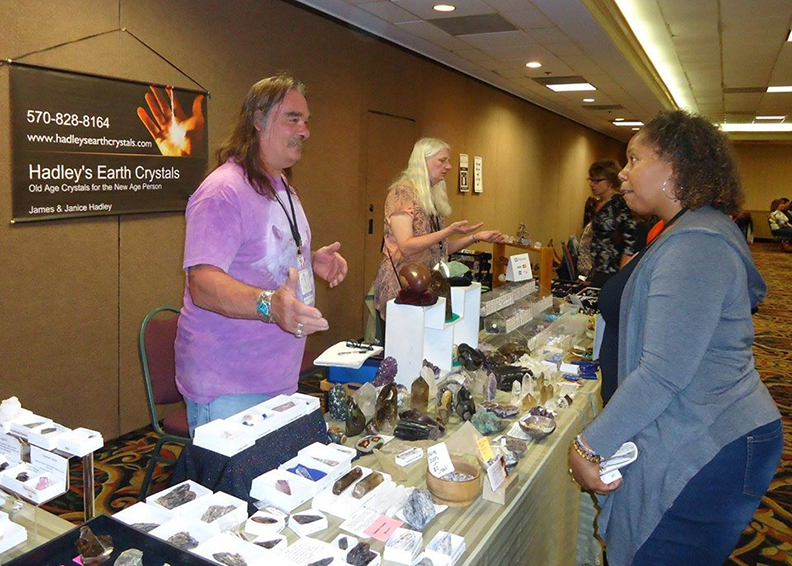 Whether you are a collector, budding junior rock hound, metaphysical practitioner, holistic practitioner, or people interested in seeing rocks of such beauty for the first time…there is always something to share. Hope to see you at one of our venues, for there is nothing like seeing firsthand what we have to offer.